The Campaign to Restore Federalism: Repeal the 17th Amendment. A nonpartisan effort to discuss the benefits of and threats to American federalism. One of the fundamental presumptions of the U.S. Constitution is this: when governmental power is consolidated and unlimited it is unresponsive to the needs of the governed. The framers originally sought to prevent the overreach of government by creating an elegant framework to distribute power as widely as possible through a structured competition of natural self-interests. It is for this reason that the framers preserved the integrity of the states, these independent but united “laboratories of democracy”, and it is this federal system that the 17th Amendment (which provides for the direct, popular election of U.S. Senators) destroyed. This amendment has resulted in, as the framers predicted, a national government with influence, power and control unchecked by any political mechanism. This unlimited structure threatens the uniquely American way of life and the solvency of the national government. The original design of the U.S. Constitution acknowledged that the several state governments were equipped better than the national government to address the vast majority of citizens’ needs. The democratically elected officials of those state governments live among the people they represent. They shop at their constituents’ stores and socialize at their homes. Unlike a national politician in Washington with millions of citizens he “represents”, state officials each have constituents that number in the tens of thousands. They are far more likely to know the people, their strengths, their problems and their sensibilities, and are therefore the appropriate representatives of the people’s most critical political desires. Assembled in the state house, these governments have collective interests and characters of their own that legitimately compete with those of the national government. The original U.S. Constitution gave state governments a strong voice in the national government by requiring them to select U.S. Senators - to serve much like ambassadors today at the United Nations - and thus created the U.S. Congress to be a political (not judicial) venue for the competition between state government interests and national government interests. The Senate provided the state governments the necessary ability to restrict the natural inclination of the national government to expand its power. It is no coincidence that the national government began its exponential growth following the passage of the 17th Amendment, just as soon as there was no longer a competing interest that could stop it. The framers concluded that the judiciary was not the appropriate arbiter (as the courts currently imagine themselves) of the line between state and national interests, in part because the courts have a self-interest favoring a strong national government (the courts being created by Congress), and in part because the framers understood that different generations may draw that separation in different ways. The framers understood that the people of the several states were also citizens of the nation, and as such, gave them responsive representation in the form of the U.S. House of Representatives. The Progressives that pushed for the 17th Amendment in the belief that the cure for democracy’s shortcomings is more democracy, did not address the fundamental purpose for the Senate: to protect the sovereignty of the states against the encroachment of national government into the states’ meaningful interest in addressing their people’s needs. It did not take long for the state governments, which ratified the 17th in record time, to understand the full, detrimental impact of what they had done. Consider that those in state government claim a responsibility to address questions in the areas of taxation, education, employment, disaster relief, public safety, transportation, health care, marriage, and property rights, to name but a few. Yet all of those issues, and far more, are now primarily mandated, regulated, or directed out of Washington, DC, far away from the people being impacted by those policies. While the state governments bear much of the responsibility for their citizens, they have only secondary authority to do anything about the issues they face. When federal courts decline, as they frequently do, to interpret the 10th Amendment as protecting the sovereignty of states, without a voice in the U.S. Senate the states have no recourse. Repealing the 17th would address this deficiency. The “winner take all” mentality and the resulting bitterness that grips partisan Washington today is one direct result of the 17th Amendment. Interest groups understand that to impose one’s will on 300,000,000 Americans, one must influence one president, the selection of 5 supreme court justices, 51 (or 60) senators, and 218 representatives, a total of 275 individuals who live primarily in physical isolation, far away from those they govern. This makes the stakes extremely high. A tremendous amount of money is raised and spent on influencing 275 individuals in Washington. Repealing the 17th Amendment would devolve power away from the national government and drastically reduce the influence of interest groups. Under the original design, change at the national level required that the majorities of all the state legislatures – made up of thousands of representatives – be taken into account. The framers understood that moderate, temperate government is brought about by a multitude of competing interests. Repealing the 17th takes a major step toward restoring this balance. At the same time, the individual’s self-interest is currently working against a repeal of the 17th. Consider recent studies showing that 52% of the U.S. population receives a significant portion of their personal income from government programs. At present, it is in the majority of citizens’ own short-term self-interest to see this flow of money grow larger and faster. Without checks on our own self-interest, we the citizens of the United States will continue to vote ourselves payments from the U.S. Treasury until our national government is financially and philosophically bankrupt. This is perhaps the most classic, and most widely understood pitfall of democracy, and strong safeguards must be restored to correct for it. There is a mechanism in the original constitutional design that could prevent our own self-destruction, and may keep us from spending our way into total ruin. A repeal of the 17th Amendment and the resulting rise of strong, sovereign state governments is our best hope. So, why did we ratify the 17th? The 17th was a necessary and appropriate response to an increasing number of cases in which U.S. Senators effectively bought their seats through bribes paid to members of state legislatures. This was an unjust practice that needed to be stopped. Political parties / machines in the several states selected U.S. Senators in reward for work (or payments to) the parties. This was an unjust practice. Some state legislatures proved either unwilling or unable to elect U.S. Senators, leaving some seats vacant for months or years - even threatening the quorum in the Senate. Popular election of Senators ensures that the seats will be filled. The purpose of the 17th is to provide direct representation of the people's will. Citizens are the best equipped to elect senators. Each state legislature is corrupt (or dysfunctional), and should not have more power than it does. These are reasonable arguments, but they miss the point. In an attempt to solve very real problems, the backers of the 17th Amendment (who were in fact the “special interests” of their time) created a new problem that is far more severe: The fundamental problem with the 17th is that Senators no longer work for or represent their state governments, and therefore the state governments no longer have a voice or meaningful political power in the national government. The state governments were the most important check on the influence and scope of Washington, and without this check, the national government is unresponsive to the needs of the citizenry. While the pro-17th arguments noted above are secondary, they still bear addressing. The 17th did not stop corruption or election fraud. Corruption is always wrong, whether it takes place between a pre-1913 Senate candidate and the legislature that must select him/her, or when a modern-day Senator accepts “contributions” from “supporters”. By any measure, the 17th was a poor way to solve the problem of corruption. If anything, it merely pushed the corruption underground and spread it around. What was once a limited, illegal transaction between one candidate and the known state legislators is now a problem between one candidate and several thousand unknown and unknowable funding sources over several tens of thousands of transactions. Consider this: if the primary purpose of the 17th was to eradicate corruption from Senatorial selection, it failed brilliantly at doing so. Far too many contemporary examples exist to suggest otherwise. Corruption will always be a part of politics and must be dealt with aggressively, but altering the foundational structure of the Constitution in order to wave a hand at corruption was profoundly misguided. The 17th did not lessen the power of political parties. Political parties have always selected Senate candidates, and once selected, some other body (legislature or electorate) has had to choose between them. A state legislature – theoretically – has a party composition that mirrors that of the state, so without the 17th, party make-up is not likely to be extraordinarily divergent from what the electorate would select. A state legislature has a political (perhaps even moral) obligation to elect a Senator in a timely fashion, but it also has an inherent / sovereign right not to. Should a legislature prove unwilling or unable to fill a vacant Senate seat, this problem is one for the state itself to resolve by a process it deems most appropriate. To argue that a crisis exists when the U.S. Senate fails to reach a quorum, one presumes that the federal government's work is critically important, a belief perhaps not shared by the insufficiently motivated state legislature: the original constitutional structure is designed to restrict, not facilitate the federal government's acquisition of power. The 17th Amendment violates the principle that entities are represented only once in government (some call this a variation of "one person / one vote"). Citizens are already represented in the national legislature by their elected member of the U.S. House. Allowing citizens to vote for their state's U.S. Senators means that each citizen is represented by three votes (one House and two Senate). Why? Stating that U.S. citizens are best equipped to vote for U.S. Senators - who should not represent the citizen's will in the first place - is either wrong on principle or beside the point, depending on one's view. The will of the people is best expressed through the people's representatives in the House, but primarily in state and local governments for the simple reason that their most basic needs are met here and not via the government in Washington. State legislatures, like all human endeavors, are imperfect and corruptible - they are now, and they were in the 1700s. If a state legislature is found lacking, local citizens are far more likely to correct it than they are to reform the national government. What you are proposing is the "magic bullet." A single action that may cause more harm than you infer it will resolve. I wish to indicate that you do not show "how" it will resolve anything, only that it will, by somehow imposing magical results. Your first argument: corruption is always wrong. Yes, of course it is. But, as you also indicated, corruption by one person is far easier than corruption by a thousand separate interest groups. The solution is not to revert "back" to that one person (who has full authority to dismiss without explanation and thus full corruptive ability without a means for control or consequence), but instead to address the influence of corruptive elements. Obama recently authorized a first-step, by restricting (and in some cases, full outlawing) lobbyist actions. Your second argument merely demonstrates there is no great need to do away with the 17th amendment, because the parties are being similarly served, regardless of the means by which they are seated. The notion of "one-person, one-vote" goes out the window when you consider we vote electorally (thus many voters are disenfranchised). But, if I am to address your arguments as they stand, I wish to note we vote for the President, and that the House and Senate are two separate voting establishments of Congress. But I think it is far more important to realze that even if we increase the number to 4, it is still not, "one-person, one-vote." Representatives act as consolidated proxies for the votes of their respective regions (State divisions). Senators act as consolidated proxies for the votes of their respective State citizenry. The President acts as a consolidated proxy for the votes of the entire Nation. It is the citizenry, whether regional, State, or National, that ultimately determines, and should determine, the direction of this Country. It is the citizens' interests, and not respective State government interests, that should govern any Constitutional change. 1) I do believe that a repeal of the 17th Amendment is necessary, but I do not believe it is sufficient for dealing with the problems in our country today. Therefore, I do not see my argument as one promoting a "magic bullet" because - without a doubt - there are other structural changes that would need to be addressed (the 16th Amendment, the states' process of redistricting, etc.) for real change to take hold. Your comments do make me realize that asserting the efficacy of repeal depends on information not found in my posting (although the articles on the right side do make empirical claims that are well founded and backed up with historical data). Specifically, the purpose of the Senate, the purpose of separation of powers, the purpose of "one person one vote" are all covered quite extensively in The Federalist Papers, a set of documents that even the Supreme Court uses to determine the original intent of the Framers. Specifically, I presume a basic understanding of Federalist 62 through 66. Maybe that's too much to ask. I should make that more clear. 2) I did not actually say that "corruption by one person is far easier than corruption by a thousand separate interest groups". I'm not exactly sure how I could reword that section to give the correct impression, but my belief is that the fewer people involved in the corruption, the more accountable the individuals involved. What I fear is that here, and in your other observations, you've misinterpreted what I believe to be the arguments in favor of the 17th and my objections to those argument (my retorts in favor of repeal). 3) For example, I do believe that the party make-up would not change with a repeal of the 17th, but the point of repeal is not to adjust the party composition in each state. The point is to provide an essential counter-weight to the voice of the people. 4) As I'm sure you're aware, the idea of separation of powers is based on the idea that we can absolutely count on people and organizations pursuing selfish interests. Each power (the people, the courts, the states, and the electoral college - there are four powers in three branches) were to be represented equally in the national government. The people by the House. The Courts by the Supreme Court. The States by the Senate. The Electoral College by the President. I will readily grant that this is not how it has shaped up, but I do not believe that the onus to prove efficacy is on those who support the original design. The onus to prove worth is on those who believe that the current system (the one that is broken) is better than what the Framers established. The idea that "the people" must decide the path of this nation is true, but like all good philosophies, it has practical limits. The people have direct control over the election of their state representatives (including the executive and in some cases the judicial members) and this is exactly as it was intended. But in the federal system, "the people" only got one vote by way of their House member, and this was precisely to avoid what we have now in Washington: Essentially mob rule, with a mob that changes every election. While I respect the general sentiment that "the people" should have a strong voice, so should other groups with interests in the federal system, providing the checks that the Framers intended. Taking your line of reasoning (that repeal of the 17th is good because it would promote stronger State governments) further -- would you like a law in your State's Constitution that said the people couldn't vote directly for their State Senators, instead those State Senators are elected by their City Council (local) representatives. This law would strengthen local communities according to your logic. It should also be combined with a State Constitution version of the Federal 10th amendment, saying that "All those powers not directly given to the State governments go to the local governments or the people." I think that I would be in support of this, would you? Thank you so much for this comment. I'm not sure that I have a very satisfying response to your question, but I'm hoping that by posting your comment, others will chime in and give their opinion. My initial reaction is this: The Framers' intent for the U.S. Senate was to provide sovereign states with a meaningful political voice in a federal system. The key word here is "sovereign". The state governments wanted a very immediate method to limit the inevitable attempts of the national government to infringe on the states' well-defined notion of sovereignty. Federalism is clearly not the relationship between the several local governments and a state government, nor do local governments have a reasonable expectation of sovereignty over their affairs, nor do the bicameral legislatures of states currently claim to represent or embody specific constituencies (such as local governments) in different houses of their legislatures. My second reaction is this: If the citizens of an individual sovereign state wanted to adopt a bicameral system to allow for the sort of relationship that you suggest - one in which local governments, not individual citizens were represented by the state senate - I feel strongly that this should be their right to do so. But your question is if I think the election of state senators by local governments would be a measure of “good government”, and frankly, I'm not sure. I can see why some local governments might see it this way, and I believe it's a debate worth having. With that said, I favor taking direct democracy to its practical limits. (The current national system has demonstrated some of those limits. Repealing the 17th would help compensate for such.) In states with small populations and no sovereign entities to speak of, direct democracy might work best. In states with huge populations, or in states with sovereign governments (such as Indian Tribes that require services and pay taxes to the state government) a representational system such as you propose may be a good idea. It's worth talking about, but I have no firm opinion. I strongly agree with the idea that state governments need a strong voice in federal government and that we can't rely on the federal government to restrain its own power, nor the people to really make this a priority in their voting. This is the primary reason that I support the effort to repeal the 17th Amendment and I appreciate your effort in articulating this. In my opinion, the 17th Amendment is neither a viable solution nor cause of senate corruption, it just changes the nature of it a bit. We don't have people buying senate seats as in a few high profile cases in the late 1800s, but certainly do have occasional lobbying related scandals, and near universal operation in what I would consider gray areas of the rules on campaign finance. With regard to CUnknown's comment, I have much less concern over the growth of state government and its influence on local politics than federal influence on the state, although both can be a problem. The complete freedom of travel and trade between U.S. states enforced by their federation sets up a pretty fierce competition between state governments which encourages moderation in state governance. For example, for a state to maintain a viable economy, its laws and tax policy have to be at least acceptable to all essential players. A state that alienated its any particular group such as industrial work force, professional people, industries, or service providers would quickly find itself in bad shape even if the disenfranchised group represents a small minority. This keeps the state from doing any thing to drastic, even if a majority wants it. This "vote with your feet" influence doesn't work particularly well on national politics given that international migration is substantially restricted and that people have pretty strong social and linguistic ties to their country which prevent them from leaving. Thus, I think the original constitution was very well designed to keep the national government weak, with its domestic powers being sufficient only to ensure free trade and competition among the states. I appreciate your well-reasoned arguments to repeal the 17th amendment and find them quite compelling and convincing. However, one question I have that has not been addressed relates to international business and politics. Today's global world with instant communications, motorized vehicles, and easy air travel is something the framers could not have envisioned at their time. Perhaps they dreamt of such things, the same way we may dream of a future with robots, hovercars, intergalactic travel, and silver jumpsuits for all, but who knows if it will turn out that way. That being said, if federal government was weak and state governments strong, who would represent America's interests on the world stage? Of course the president still would, but his influence may be significantly reduced since he will have significantly limited ability to affect things in his home country. Along the same lines, companies can grow so large these days that they can be too big for a state government to effectively regulate; even some are now too big for the U.S. government to regulate. These companies operate internationally in many different countries; who would ensure that they are playing by the rules if all they ultimately answer to is a smallish state government? Also, doesn't delegating so much work to the states reduce the potential for efficiencies of scale that are possible with more consolidation? For example, each state would be simultaneously trying to invent the wheel. Does that make sense? As far as Jason's argument goes. It appears he is thinking that those who want to repeal the 17th Amendment and devolve back to the states more power than they currently have are pushing for a confederation of the kind we had under the Articles of Confederation; where the national government was too weak to stabilize the economy, provide for the common defense and properly represent the states united on the international stage. I think I speak for many other advocates for restoring federalism when I say that in correcting the uneven balance of federalism today we should not go to the other end of the spectrum and deny the federal government its legitimate role in regulating commerce and representing America on the world stage. 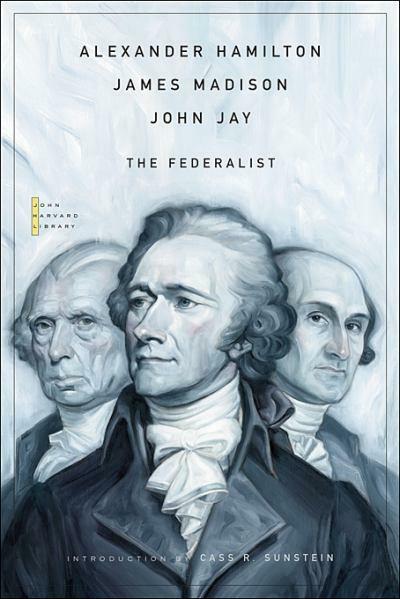 The writers of the Federalist Papers made it clear that the Constitution set up a more energetic central authority to address the very questions you raised but reserved to the states the majority of responsibilities for their citizens. As regards to the president being too weak I think there is just as much danger in his having too much influence. What have we seen with the current level of federal power, especially as it has concentrated into the executive branch? He has taken us into wars that many states and Americans never wanted. Spent billions upon billions of dollars to bailout Wallstreet and now the current administration wants to spend even more. The current political reality is good evidence that we need to restore federalism now more than ever. In the end though, you're right, it would be more efficient if we simply consolidated power into a central authority, it's been done before but I feel that it runs too close to dictatorship. The finicial gains such a system might provide would be nice but I for one will choose liberty every time. And that is why I support the repeal of the 17th Amendment. While I happen to agree the 17th amendment was a mistake, I do not believe that there is a realistic chance of it being repealed any time soon. That said, I believe you are approaching the problem from the wrong direction. You would be better off attacking the abuse of the commerce clause which has been used to shelter many of laws that would have otherwise be overturned by the Supreme court for violating the 10th amendment. would then go act a representative. The proxies could be revoked at given times and if the representative fell below the required level then they would be effectively "recalled". More importantly, a representative who garnered sufficient proxies would have the voting power commensurate to those proxies, so they might have a vote worth 2 or more times others. I appreciate your comments and the time you took to share them. Thank you. The process of seeking repeal of the 17th has several purposes and benefits, even absent complete success in my lifetime. While I can understand your pessimism, I believe in the cause of repeal. I have genuine concerns for our social order if we are proven unable to curb the scope and spending of the national government. Repealing the 17th strikes me as the best way to do that. There may be other ways, but the ones I know about strike me as either inelegant or temporary. You bring up a very interesting point regarding the Commerce Clause. The problem with the Commerce Clause - in my opinion - is the Supreme Court's interpretation of it. The only way to influence the Supreme Court's interpretation is through the confirmation process in the Senate. That confirmation process was designated as one of the essential functions of the Senate SO THAT the Senators (representing the states) would confirm only those justices who were inclined to see the Commerce Clause as a critical limit on the national government's power. However, with the 17th Amendment, and Senators no longer representing the states, the Commerce Clause has been interpreted incorrectly and expansively. So you see, from my viewpoint, to properly address the misinterpretation of the Commerce Clause, we have to repeal the 17th. Politicians got us into this mess and I'm skeptical that they will get us out. It is unrealistic to ask a National Politician to forgo ill-gotten powers because it would be 'right' - what is considered 'right' now is not what was 'right' then. I suspect that it would be more effective for the States to pass a Constitutional Amendment declaring that the Constitution is what it says it is (ie enumerated & limited). We should not rely on Senators to protect our rights, rather the Constitution itself! Thank you for this excellent forum. "The problem with the Commerce Clause - in my opinion - is the Supreme Court's interpretation of it. The only way to influence the Supreme Court's interpretation is through the confirmation process in the Senate. That confirmation process was designated as one of the essential functions of the Senate SO THAT the Senators (representing the states) would confirm only those justices who were inclined to see the Commerce Clause as a critical limit on the national government's power. However, with the 17th Amendment, and Senators no longer representing the states, the Commerce Clause has been interpreted incorrectly and expansively." This is the key insight why the 17th Amendment has led to an expansive federal government. It should be the primary focus of your essay. We now have a mass democracy (rather than a republic) with the many voting to extract more and more property from the few. Many commenters here mix up two things: one is election systems (on various levels), the other is the checks and balances devised by the framers. The call for the repeal of the 17th is about the latter. There is no point in having a Senate at all if it represents the same constituents and is subject to the same lobbyist pressures as the House - which is the situation since 1913. The Senate is no longer an asset to a checks and balances system, but an unnecessary government layer of more-of-the-same. The original purpose of the senate, which was to represent the interests of the individual states, was an important check on federal power, and it has been done away with. I was surprised to read here that the pre-1913 situation established that senators HAD to be elected by the state legislatures. I had thought that it was the states' own business how they elect THEIR representatives in Washington DC. And that, indeed, is IMO the ideal situation. Each state should be able to decide for itself how it wants to be represented in DC: whether its representatives should be chosen by the legislature, appointed by the governor, elected by its citizens, or decided by lot. They represent the state IN the Federation, and the Federation itself should have no say in it. The same goes for the length of the term: whether the appointment is for 6 years, or another fixed term, or open-ended until the appointment is repealed. Every state should assert the right to make its own rules. If senate election rules are made centrally in DC, the fiction that senators represent the States is untenable. An analogy: the UN does not tell the US how to appoint its ambassadors, or for how long. Every country decides that on its own. Now about election systems: that too should be an exclusive state matter. If any particular wanted to introduce (for internal purposes) a representative parliamentary democracy (like in most other democracies), or maintain the winner-takes-all system, or introduce any variation thereto such as instant run-off, or whether the state senate should be composed of representatives from the counties, as one other poster here suggested - it should be nobody's business but the states'. The only elections rules where federal interference has any place is in federal elections: the President and the House. Even though the US Senate is the US Senate, Senators do not represent the people of the US (like in the House Representatives do), but the States of the US. The position of Senator should not be considered a federal office, but a state office. Oskar, it is not my reading of history that pre-1913 the several state legislatures "had" to appoint Senators, merely that the U.S. Constitution left them with this power, and that there was a fundamental presumption that the states would never willingly give it up. The framers were proven wrong in this presumption. In fact, immediately prior to 1913, several state legislatures had indeed given over this power to the electorate of the state. However, it is not unreasonable to assert that (without the 17th) even if a state legislature had chosen to delegate this responsibility to the electorate, it remains their duty to determine the electoral process and therefore, the legislature's right to take it back. My sense is that without the 17th Amendment, virtually all would have done this within the last 97 years. I read the Talking Points Memo article about the Tea Party's call for the repeal of the 17th Amendment (http://tpmdc.talkingpointsmemo.com/2010/05/tea-party-call-to-repeal-the-17th-amendment-causing-problems-for-gop-candidates.php?ref=fpa). As a leftist, I found the idea thought provoking and sought out this website for more information. My interest was spurred by the thought that this might an excellent way to reduce the obscene amounts of money wasted on electoral campaigns! While I doubt it would end corruption and deal-making among politicians and lobbyists, it would mean that Senators would no longer have to "dial for dollars." Theoretically, they would no longer have to answer to lobbyists and corporate pimps (as they do now), but only to the majority (or pluralities) in the state legislatures that select them. But when I read through some of the articles on the website, I thought the arguments were antiquated, quaint, and a little anti-voter. I think the movement for repeal would get more traction if you reframed your arguments as a way to reform politics, a way to take money out of politics. One trouble with states as entities is that they are so arbitrarily delineated. As a resident of New York City, I feel that I have far more in common with others in the Tri-State Metropolitan Region than with upstate farmers. What makes states so special? You bring out an interesting point about differing interests within a state. I think this fits into the larger argument James Madison made in Federalist 10 about factions and interests checking one another and therefore creating some balance without stifling liberty. With that said there are/were separate movements to make Long Island and New York City the fifty-first state, which I don't think violates the spirit of federalism. People would probably understand major problems with the 17th better if they knew of the following case precedent established by Justice John Marshall. Given that the Founding States had reserved the lion's share of government power to serve the people to the states, not the Oval Office and Congress, limiting Congress's powers to the relatively few clauses of Article I, Section 8, Justice Marshall had appropriately decided that Congress cannot lay taxes in the name of state power issues. "Congress is not empowered to tax for those purposes which are within the exclusive province of the States." --Chief Justice Marshall, Gibbons v. Ogden, 1824. So not only is Obamacare, for example, constitutionally indefensible, the Constitution's silence about healthcare making healthcare a state power issue, but neither did corrupt Congress have the power to lay taxes for Obamacare. Repealing the 17th has never been sold as the "magic bullet". The contention that this could cause more harm than good reveals a fundamental misunderstanding of how the checks and balances were established and why in the first place. As Judge Napolitano said, "The 17th Amendment is the only law in the Constitution that is unconstitutional. The seat at the table of the Federal Government was to include the purely democratic will of the People in the House of Representatives; but the Senate was to be a body of deliberate Statesmen selected by the State Legislatures to act as ambassators for the States. Voting on laws with the single focus of how they would impact the States and the individuals protected by the States. They were to be the one most important balance to the ever increasing expansion of Central Government. History has shown that all governments at all times will seek to centralize power. The Constitutions single purpose was to give the People the power to control that expansion. Once the 17th Amendment was passed, the 10th Amendment could be ignored, because the States had no champions to keep the Federal Government within the bounds of their enumerated powers. We all have ended up with a democratic free-for-all...a situation the Founding Fathers anticipated and guarded against by their careful preservation of the Soverignty of the States. I've done a little research on this topic and I keep seeing the same issue left out of the discussion. Voter participation and interest. My research shows heavy participation in off year elections which is when a lot of states run elections for state legislators. Up until 1912 when the 17th amendment was passed in congress, participation was always above 60% according to the records I've seen. By 1920 off year participation was down around 40% and has remain below that since then. My "theory" is that state residents no longer had the same interest in their state legislators since they no longer held any power with the federal government. That is also one reason I believe that a lot of "blue" states have remained "red" in state assemblies, simply because of low voter turn out which is a result of low voter interest. I've read all the arguments about state assemblies being gridlock when voting for Fed Senators and my argument is so what? So a state does not have a Senator represent them for a year of two until the next state elections? That is a problem for the state to fix. In worrying about that argument we have given up a key check and balance within congress. I always heard growing up that the US Senate was more deliberative because the Senators would consider what was in the best interest of the state, not the country as a whole and would vote that way. They would vote their conscience (which was the State assembly which elected them). RestoreFederalism: I agree with you about repealing the 17th amendment, but I would like to point out that when you said that prior to the 17th amendment some states held popular senate elections technically those elections weren't official and the official elections were still held by the state legislatures. Taken to it's logical conclusion then, the end result would be that every red and blue state would, albeit not necessarily, have as their choice Senators from the dominant state party. In view of current composition, and considering the mostly crimson red/blue maps I have seen that would be fine by me. On the other hand it also shows how difficult this battle will be. The Senate was originally designed to thwart majority tyranny over the minority,i.e. mob rule. The 17th converted the senate into a rubber stamp to ameliorate that check. I am not sure the intent was to centralize power, certainly the chief facilitator if not an evil twin to a tyrannical majority, but there no doubt it was the effect. The argument that it would be less democratic is specious because it completely ignores that the selectors are elected. Who they might select is just another in a panoply of issues every citizen should weigh when populating their state legislature. The17th amendment disassociated the electorate from their state legislators. Over 90% of Americans cannot name their state's congressional district representative nor their state senator from their region. Less than 25% of the registered voters vote in local elections, and even then it's only because they pull the "straight party" lever during national elections. It's a travesty when people jump the government chain and look to "Washington D.C." instead of, as citizens of the state of ____, seeking resolution at their own statehouse wherein there is more familiar and representative government. First, I would disagree that "the party make-up would not change with a repeal of the 17th..." I believe that third party ascension is entirely possible, as we find that there are states who have sent senators forward from outside of either the Republican or Democrat parties. This, in turn, could even change the nature of the Presidency, were it allowed to grow into fullness. The GOP itself is an outcropping of third party vigor. So it's possible the Tea Party could rise into a more useful and functional place, being allowed a more stable platform than the national stage. However, the most critical point in your essay is that through the 17th Amendment, the state has been relegated to such a low secondary status, that the electorate barely notices what they do. Beyond the Governor, I've found that the electorate pay little attention to state legislatures, as their function is now only to facilitate the actions of the federal government. This is exactly what the framers were against in trying to protect us from federal tyranny. It is a particularly pressing problem, as we see in such federal tyranny as Medicare funding, environmental regulations, and even the way federal highway funds are distributed. Often the federal government makes mandates on the states that the states find quite problematic. But because they have no say in the federal system, they are bound up by such edicts, and the people, who do not understand that their interests are not being served because of this interplay, then suffer because they have local needs that a distant federal system can't understand, let alone address. Just look at the troubles created for ranchers through the Bureau of Land Mismanagement! They don't see that it's in the local assembly that their local issues should be determined. And it's why there's also such a misunderstanding of the Electoral College, which, if eliminated, would destroy the Constitution entirely. I not only support repealing the 17th, but believe it's the only means by which we can save this country. At the moment, there is a pending cliff, whereby if ever the populist fervor overcomes keeping the electoral college, the "28th Amendment" will push us over and will be the end of America as we know it. This is a states' rights issue. Ideologies negate individual freedom of choice. Individual freedom of choice negates ideologies. The compromise is a non-ideology driven form of limited government and the rule of law guided by the precepts of maximising individual liberty within the contextual framework of society. Also: J.S. Mill "On Liberty". Restoring limited government at the Federal level is a task that can be accomplished by the states' governments first, by invoking their right to regulate congressional campaign contributions. For House candidates, restrict campaign contributions to the residents of the district within which the candidate is running for office. The second thing the States' governments can do is demand the restoration of their Constitutionally guaranteed right to equal suffrage in the Senate, which was exercised through their selected representatives, by invoking their Article 5 right to withdraw their consent to the unconstitutional 17th amendment, and taking control of their Senators, restoring their voice and suffrage in their Senate. That's the formula for a paradigm shift in government of epic proportions, the shift away from adversarial ideology-driven politics battling for control over government to adversarial people vs. government politics, as it was intended and as it should be. The federal legislature is a legislature composed of a house of the people and a house of sovereign states. The federal Constitution makes no requirement the representatives have to be chosen by a geographic district that is smaller than the state itself. If a state chooses it may elect all of it's representatives in a state wide election. The Senate on the other hand, is an assembly of equal sovereignties. Each on equal footing. The state government, being a political governing body, originally had say in the Senate, where the senators answered to the state government, about how much sovereignty and governmental power the state government was willing to give up or taken on. Without the state legislature choosing senators, the state governments are at the mercy of federal legislatures and have no say whatsoever in federal politics. They cannot recall a senator for bad behavior because they did not choose them. The state government, as a political entity, does not have any representation in the federal government, but are taxed without representation. The people of a state are not thinking of state political issues or the balance between federal and state powers like a state legislator would be. The general public are focused more on what's best for the individual, their job, and what they can get, not the same focus as a state legislator whose job it is to protect and governmental their state. Please help the cause by linking to us on your webpages and postings. Video: What led to the 17th? Constitutional scholar Robert Natelson discusses the historical background of the 17th Amendment. "Federalism is more than an exercise in setting the boundary between different institutions of government for their own integrity. . . . 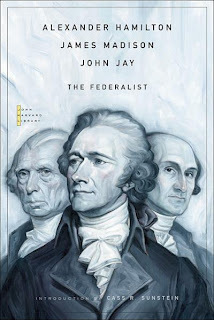 Federalism also protects the liberty of all persons within a State by ensuring that laws enacted in excess of delegated governmental power cannot direct or control their actions. . . . By denying any one government complete jurisdiction over all the concerns of public life, federalism protects the liberty of the individual from arbitrary power. When government acts in excess of its lawful powers, that liberty is at stake. . . . The limitations that federalism entails are not therefore a matter of rights belonging only to the States. States are not the sole intended beneficiaries of federalism. . . . An individual has a direct interest in objecting to laws that upset the constitutional balance between the National Government and the States when the enforcement of those laws causes injury that is concrete, particular, and redressable. Fidelity to principles of federalism is not for the States alone to vindicate." The Campaign to Restore Federalism is strictly nonpartisan, does not accept contributions from any source, and is purely educational in function. We have been online since 2008 and are not affiliated with any political party or cause. The director of The Campaign speaks to legislatures, interested groups, academic institutions and media in support of this effort.